We’re back! Hopefully for good this time! 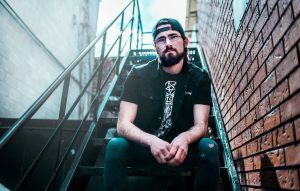 My good buddy Tyson Davidson for this weeks episode to talk about how not to be a douche when making music videos, hosting touring bands and the grind involved with building up a music scene! Tonight! I clean out some old interviews that either didn’t get the right spotlight when they were originally aired or that I have never aired at all! Who are the interviews with?, you’ll have to tune in to find out! 10-11:30pm on 97.9 FM or right here on our website through our pop-up player! Also, don’t forget about our upcoming Fundrive from November 12th-18th (more details coming soon) and don’t forget to cast a vote for General Distortion in the fan vote for CHSR’s Annual Barry Awards! We’re up for best spoken word show and best host (Put Johnny James & Sean Carroll on your vote)! Link down below! You have until November 24th to vote!